*Meet & Greets will take place post-show. PLEASE NOTE, THIS PACKAGE DOES NOT INCLUDE A CONCERT TICKET. YOU MUST HAVE TICKET TO THE SHOW IN ORDER TO REDEEM THIS VIP UPGRADE. SHOW TICKET MUST BE PURCHASED SEPARATELY. A: While the exact time varies with each show, VIP check-in will generally begin about 1 hour prior to doors opening. We will provide the specific times and check-in location for your show in our informational email about one week before the concert. Q: When will the group Q&A session with Lennon take place? A: The group Q&A session performance will take place after the show. More specific times and locations will be announced in the informational email we will send to you about a week before the event. Q: Can I get an autograph with Lennon Stella during the meet & greet? 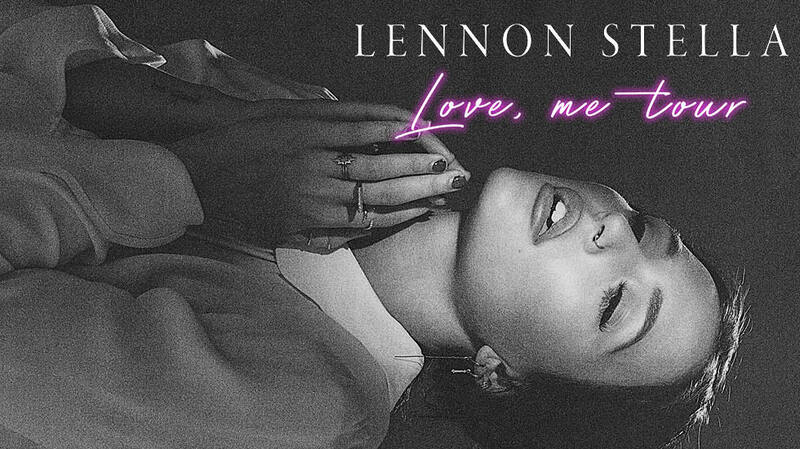 A: Autographs are not included as part of this package, however you will receive an exclusive tote bag designed and autographed by Lennon! Q: Can I get a solo picture with Lennon Stella during the photo opportunity? A: Yes! Every meet and greet guest can get an individual photo taken with Lennon Stella.